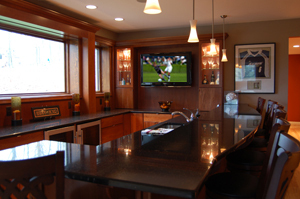 Sound Advice is one of Greater Cincinnati’s leading custom electronics design and installation companies. Our reputation for quality, innovation and professionalism has been built through many satisfied clients. As you browse through our site, we are proud to note that the images used are representations of actual projects completed by Sound Advice. 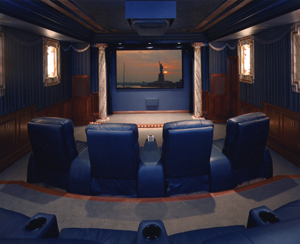 At Sound Advice we enhance the lifestyle of our clients and earn their loyalty by delivering the best service, the highest quality products and the most innovative design and installation in the custom electronics industry. Commercial Applications are also a speciality for Sound Advice. Not only can we make your place of business an updated area, we can provide options that are both aesthetically pleasing and functional. For more information and examples of our Commercial work, click the notepad to the left.